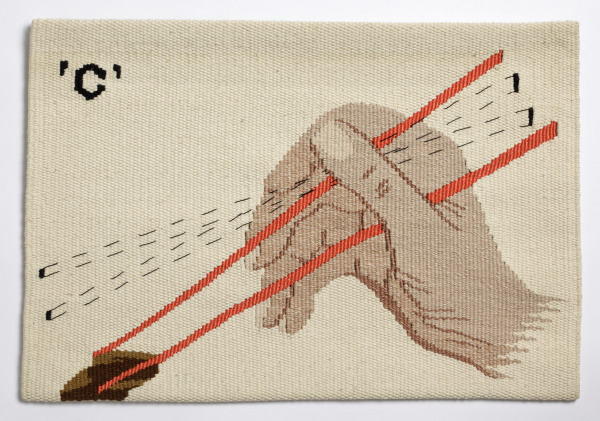 Wall hanging with a cotton warp with cotton, rayon, and wool weft, depicting a hand using red chopsticks with the letter 'C' in black stitching at the top left hand corner. Cotton warp with cotton, rayon and wool weft; flesh colours and red on a white background with black top-stitching. High-loom woven tapestry: Gobelin technique.